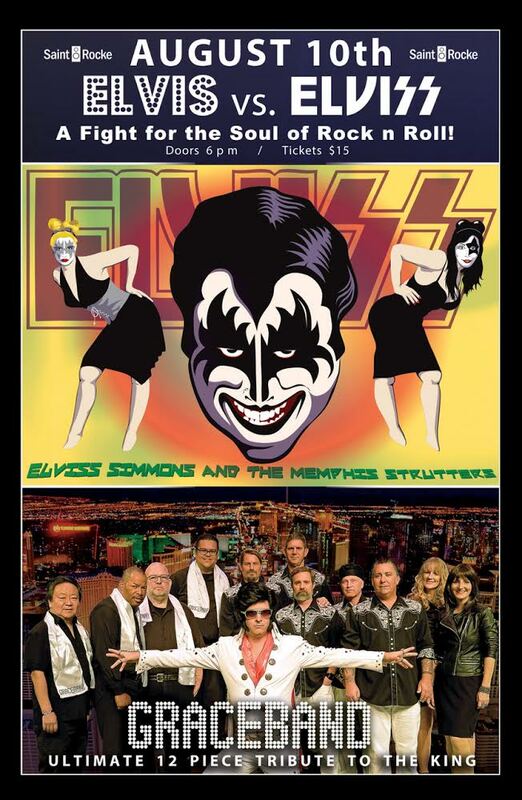 Its a 2 band show featuring us “Graceband”, and a KISS infused Elvis band called “Elviss Simmons & the Memphis Strutters”. 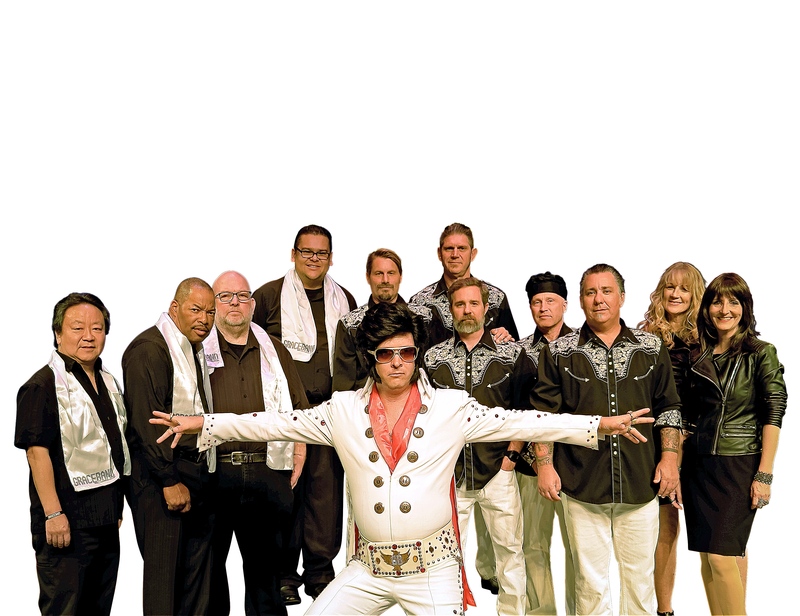 We do 12 piece big band Elvis Rock & they do 10 piece big band Kiss arrangements, dressed as Elvis, with KISS makeup. Its crazy fun & this will be our first show together of a planned tour. Each night we will battle for “The Soul of Rock n Roll” trying to outdo each-other with raging music & Elvis antics.